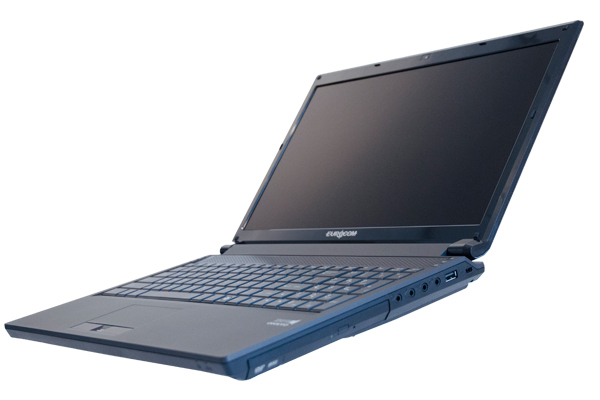 The EUROCOM Racer 3W is a laptop based, high performance Mobile Workstation allowing professional engineers to combine all of their current computers into one system due to the combination of mobility, performance and capability. The EUROCOM Racer 3W with NVIDIA Quadro K5100M is the ultimate mobile tool for 3D design, CAD, CAM, CAE, modeling and engineering professionals who demand an easy to carry around, heavy duty system with high performance, professional capability. The NVIDIA Quadro K5100M professional graphics card combined with the Racer 3W Mobile Workstation creates a lightweight, easy to carry around system that is heavy duty while also offering high performance graphics processing levels thanks to the 8 GB of graphics memory and 1536 CUDA cores. With all of the performance and capability inside the Racer 3W, it is still extremely portable, weighing in at 3 kg and being only 1.3 inches thin. The Racer 3W Mobile Workstation is designed for professionals who frequently travel and need capable hardware to fulfill their professional commitments. With a weight of only 3 KG the EUROCOM Racer 3W is perfect for engineers, designers and professionals of all kinds that are required to travel to and from customer or work sites. Using ultra durable ABS plastics and top quality manufacturing technology, the Racer 3W weighs just 3kg (6.6lbs) and is less than 33 mm (1.3 inches) when closed, an astonishing feat of engineering considering the level of power under the hood. Its strong chassis can take unintentional abuse while on the go while being used for heavy duty computing by engineers, designers or video professionals. The EUROCOM Racer 3W, and all of Eurocom Mobile Workstation are built with high quality mechanical designs and enterprise grade components. During internal shock testing, to prove the quality of the system, the Racer 3W was administered to 166 G of acceleration shock and a series of vibration tests without failing a single judgment standard and being fully operational with no damage. The EUROCOM Racer 3W offers customizable performance for users to choose the exact components, and performance level they require. Featuring upgradeable, socket based Intel Core i7 processors up to Intel Core i7-4930MX Extreme Edition working in conjunction with four, upgradeable 204 pin SO-DIMM sockets for up to 32 GB DDR3-1600. Storage comes in the form of two HDD or SSD drives and two mSATA drives for up to 3 TB of storage. Storage redundancy can be increased through RAID 1/5/10 support while Storage performance can be gained through RAID 0 support. When it is time to view your final rendered design, model or video, the 95% gamut, 1920x1080 matte display provides the ultimate image quality in a mobile workstation, while other competing workstations only offer 72% gamut. Eurocom also offers professional display calibration so users can have perfectly true to life colours right out of the box. Eurocom integrates NVIDIA Quadro professional graphics into their professional class notebooks because they adhere to higher quality and reliability standards. NVIDIA Quadro GPUs are designed and built to provide leading performance, reliability, compatibility and stability with applications like Adobe Creative Suite 5.5, Autodesk 3DS Max, Autodesk Autocad 2011, Autodesk Inventor 2012, Avid Media Composer, Dassault Catia, Dassault Solidworks, Siemens X, ANSYS, MATLAB, Dassault Simulia, among many Computer-aided Design (CAD), Computera-aided Manufacturing (CAM) and Computer-aided Engineering (CAE) software. With a battery life of 300 minutes, thanks to a removable 8 cell Smart Lithium-Ion 79.96 WH battery pack, the Racer 3W has enough portable power for on the go deployment. All features in the EUROCOM Racer 3W are powered by a 120 or 180W AC adapter so the Racer3W is ready to handle any workload. EUROCOM Racer 3W Workstation supports a wide range of connectivity and expansion technologies, such as USB 3.0, Firewire, eSATA, HDMI 1.4a, Display Port 1.2, Mini Display 1.2 in addition to several others to ensure the workstation can be connected to a plethora of external technology. If the resolution is not high enough, the Racer 3W can drive an external 4k display through the Display 1.2 port or HDMI 1.4a port. The catia-03 viewset was created from traces of the graphics workload generated by the CATIA™ V5 R19 and CATIA V6 R2009 applications from Dassault Systemes. The ensight-04 viewset represents engineering and scientific visualization workloads created from traces of CEI's EnSight 8.2 application. The lightwave-01 viewset was created from traces of the graphics workloads generated by the SPECapc for Lightwave 9.6 benchmark. The proe-05 viewset was created from traces of the graphics workload generated by the Pro/ENGINEER Wildfire™ 5.0 application from PTC. Model sizes range from 7- to 13-million vertices. The sw-02 viewset was created from traces of the graphics workload generated by the Solidworks 2009 SP2 application from Dassault Systemes. The tcvis-02 viewset is based on traces of the Siemens Teamcenter Visualization Mockup application used for visual simulation. Models range from 10- to 22-million vertices and incorporate vertex arrays and fixed-function lighting. The snx-01 viewset is based on traces of the Siemens NX 7 application. The traces represent very large models containing between 11- and 62-million vertices, which are rendered in modes available in Siemens NX 7.